Explanation: Get out your red-blue glasses and float next to the International Space Station (ISS), planet Earth's largest artificial moon. 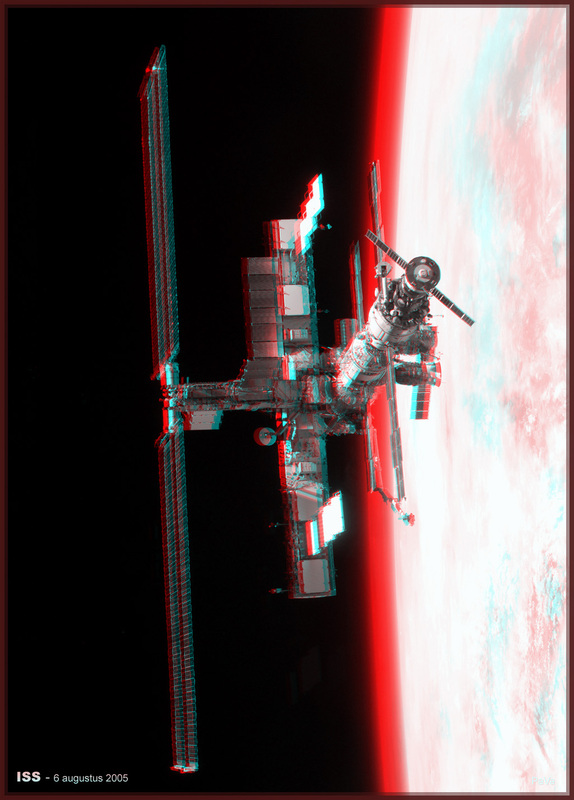 This breathtaking stereo view was constructed from two separate images (S114-E-7245, S114-E-7246) recorded as the shuttle orbiter Discovery undocked from the ISS on August 6. 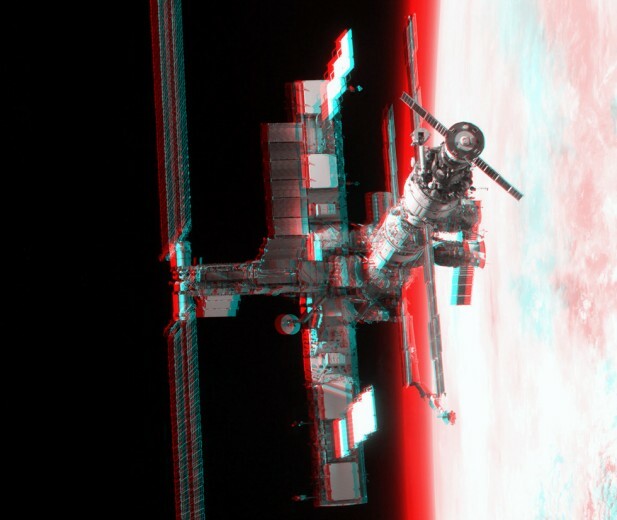 As seen here, from left to right the ISS structure covers about 27 meters (90 feet). The span from the automated Progress supply ship docked in the foreground to the Destiny module hidden behind the station structure is about 52 meters (171 feet) long, while the full (top to bottom) reach of the solar arrays at the left would cover about 73 meters (240 feet). Resupplied by Discovery, the ISS is currently operated by the two member Expedition 11 crew, Sergei Krikalev and John Phillips.